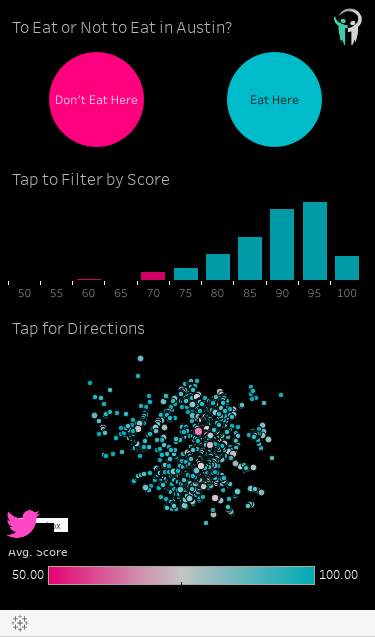 What's better than Makeover Monday, a weekly community exercise in reimagining vizzes found in the wild? A live session of Makeover Monday at TC in Austin! 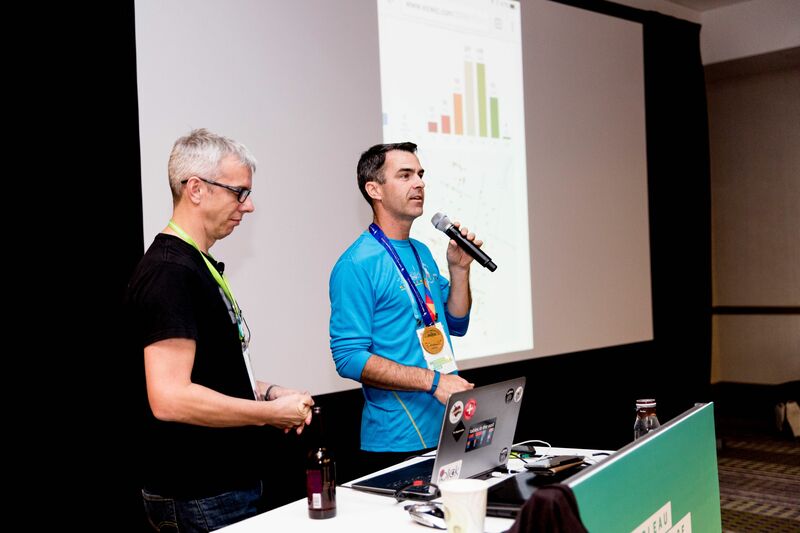 Over 150 attendees gathered to participate in a live Makeover Monday session hosted by Tableau Zen Master Andy Kriebel and Tableau’s own Andy Cotgreave. 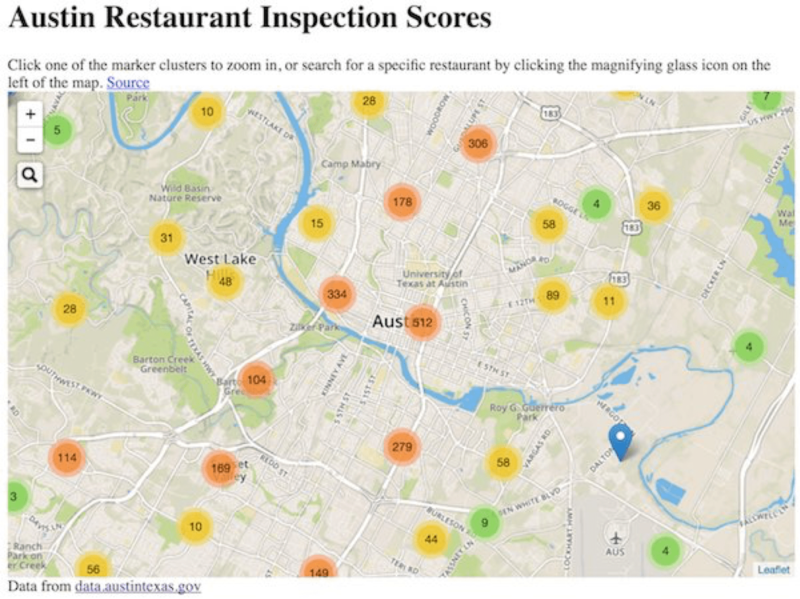 The pair queued up a data set on Austin restaurant inspection (XLS, TDE) as the challenge. With the clock ticking, cursors were flying. Some people took a hive approach and formed teams while others chose to go it alone. When the clock struck zero, it was hands off the keyboards and time to share. Andy C. focused his viz on his recent experience at Frank, an Austin restaurant that served him a very unusual drink. Some might even call it weird. Bacon? And is that cheese? 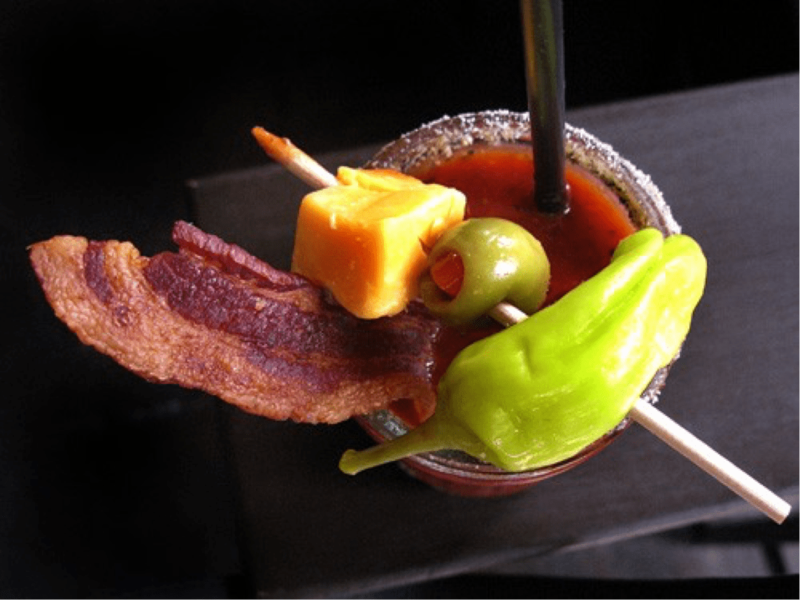 In a Bloody Mary? Andy C. had qualms. How safe is this restaurant, anyway? 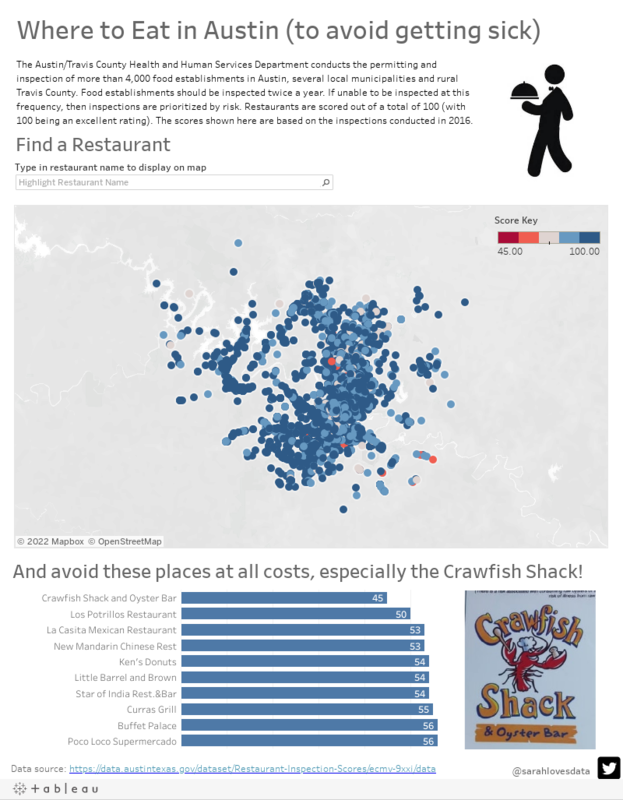 He created a simple viz that showed just the inspection experience of just Frank restaurant. These are the latest additions to the growing collection of Makeover Monday vizzes by the Tableau community. In the 44 weeks since they started Makeover Monday, more than 423 viz authors (including 8-year-old Joe Radburn) have created 2,500 makeovers. Just last week, Makeover Monday received Honorable Mention at the Kantar Information is Beautiful Awards for 2016. To participate, check out the website and the hashtag #MakeoverMonday.